The Egyptian Exchange (EGX) indices ended Tuesday in red, dragged down by Egyptian investors’ sales. Market capitalisation lost EGP 3.8 billion and closed at EGP 819.43 billion. The benchmark EGX30 index inched down 0.09% to 15,055.42 points, while the small- and mid-cap EGX70 index shed 0.48% to 669.64 points and the broader EGX100 index retreated 0.42% to 1,708 points. 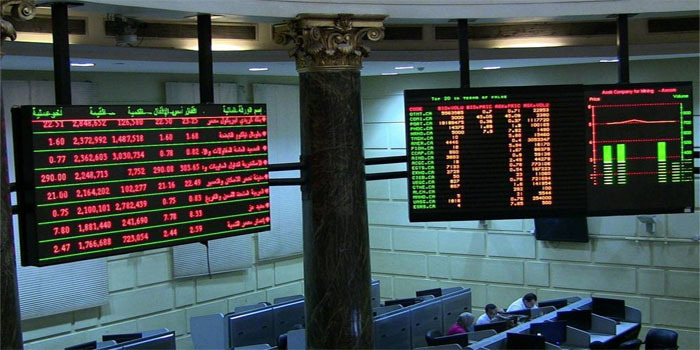 The EGX’s trading volume reached 77.9 million shares, while the market’s liquidity hit EGP 773.6 million. Egyptian investors were net sellers with EGP 201.86 million, while foreign and Arab investors were net buyers with EGP 201.48 million and EGP 380.27 million, respectively.